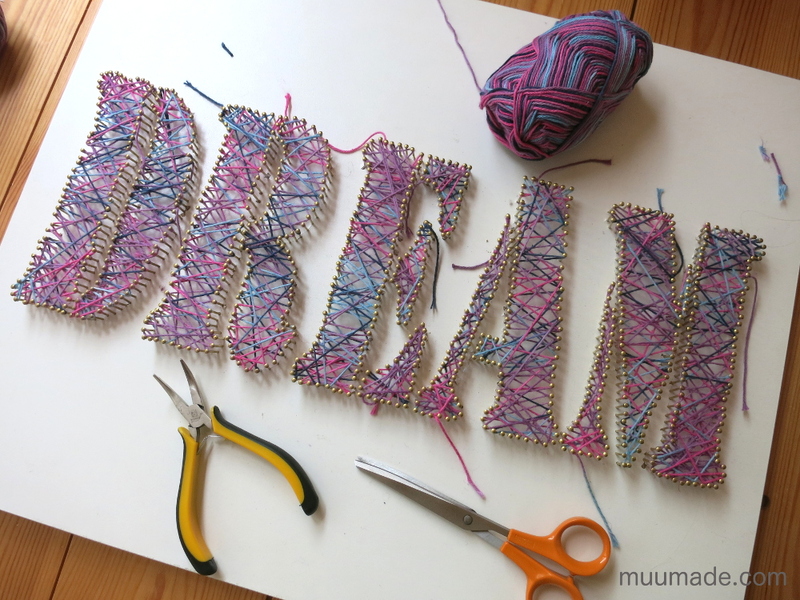 String art is a great way to create decorative wall hangings. 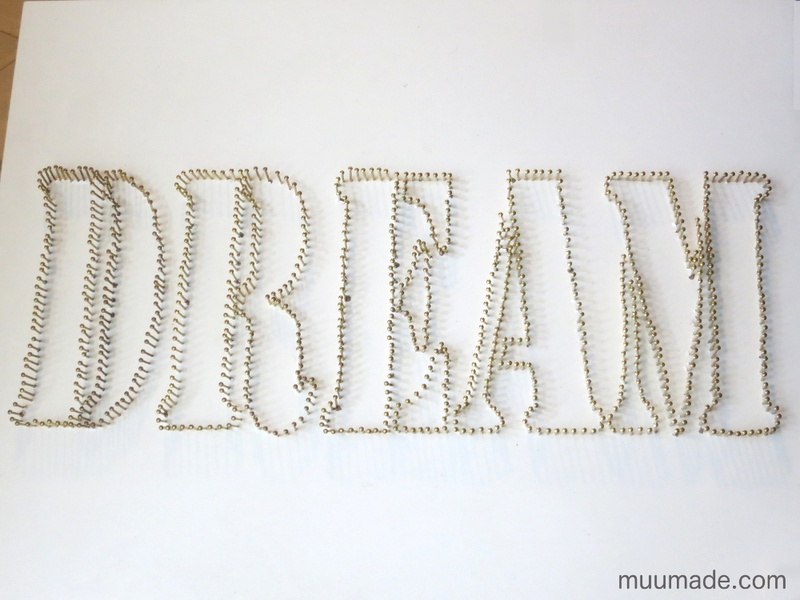 With only nails and string, you can transform a few shapes or letters into art in whatever colors and sizes you wish! But before you start gathering the above-mentioned materials, here are a few “do’s” and “don’ts” based on our experience so that you can make a shortcut to success without having to commit the same mistakes that we made! 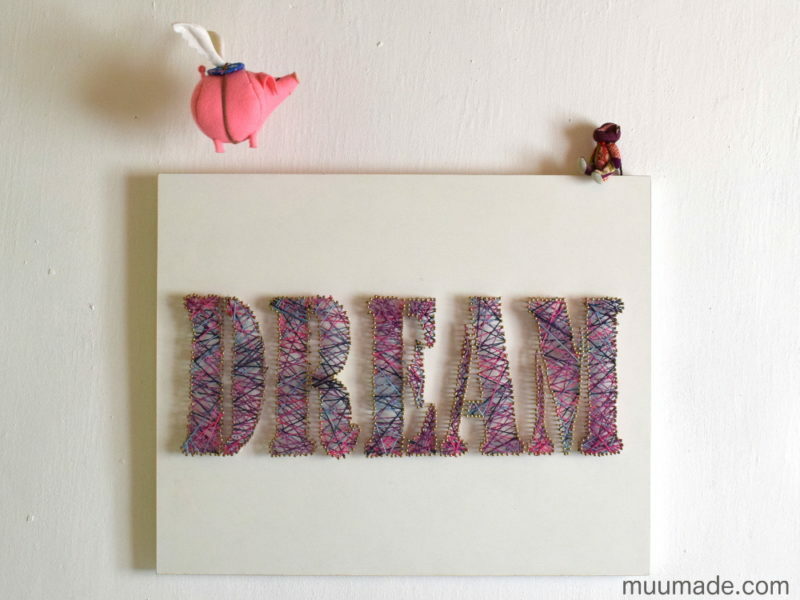 To make the DREAM string art shown in the first photo, we used a 1.5 cm (5/8″) thick particle board with a white melamine coating. 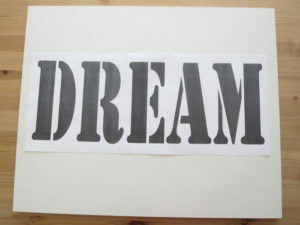 It is 55 cm (21 1/2″) wide and 45 cm (17 1/2″) long. Do: Use wood – solid, plywood or particle board, because it offers a hard surface on which to secure the nails in place. Choose a board that is thick enough to allow about 1.25 cm (1/2″) of the nails to be hammered into it without their coming out on the other side. I recommend a thickness of around 2 cm (3/4″). Don’t: Avoid panels with a melamine coating! 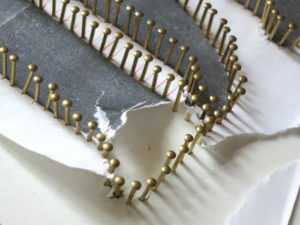 As shown in the photo above, this type of finish cracks very easily when a nail is hammered in and leaves gagged edges around the hole. If you want the surface to be in a color other than that of natural wood, I suggest that you paint the board. 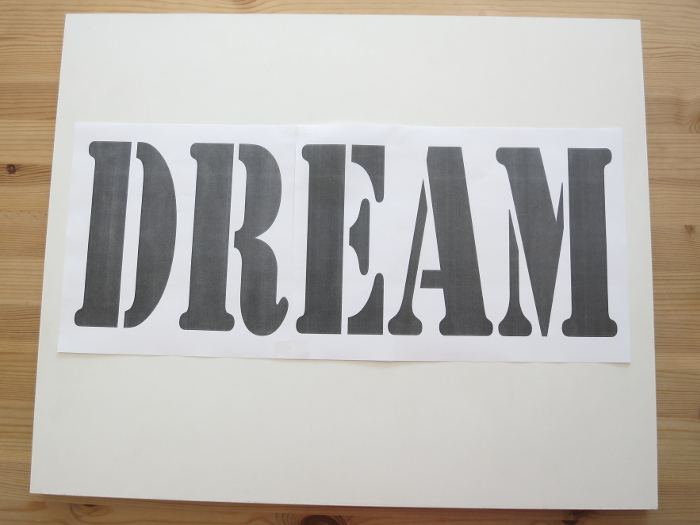 We used the Stencil font for the letters DREAM. While the resulting letters look pretty, this font made our project more complicated than we had expected. 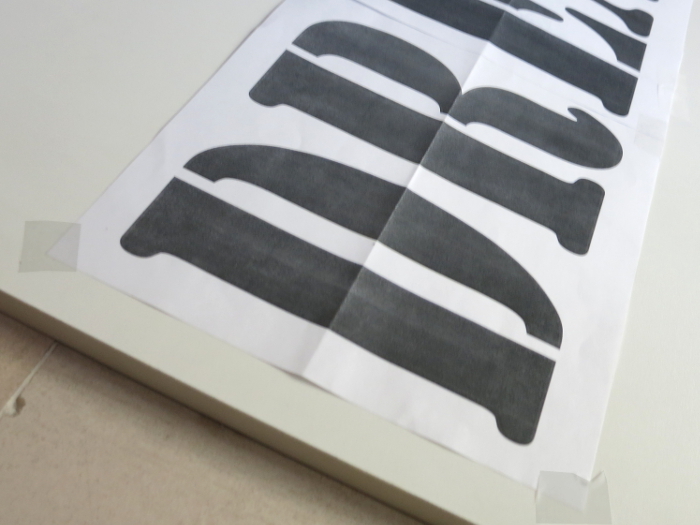 We needed to put the nails rather close together in order for the thin pointy tips and rounded ends of these letters to show. We placed them 5 mm (3/16″) apart, and that meant we used approximately 800 nails! Hammering in nails in a straight line is a challenge, but doing so that close together made the task painstakingly tedious. Do: I suggest that you keep your image or word as simple as possible. If you are using letters, simpler fonts with an even thickness and fewer protruding points, such as Arial, would be good. Also, to make it easier to hammer the nails, you may want to space out the letters more than we did (we only had 5 mm (3/16″) between the A and the M, for example). Don’t: I think that the above description of our experience pretty much sums it up; avoid fancy fonts or complicated images with detailed and protruding parts! 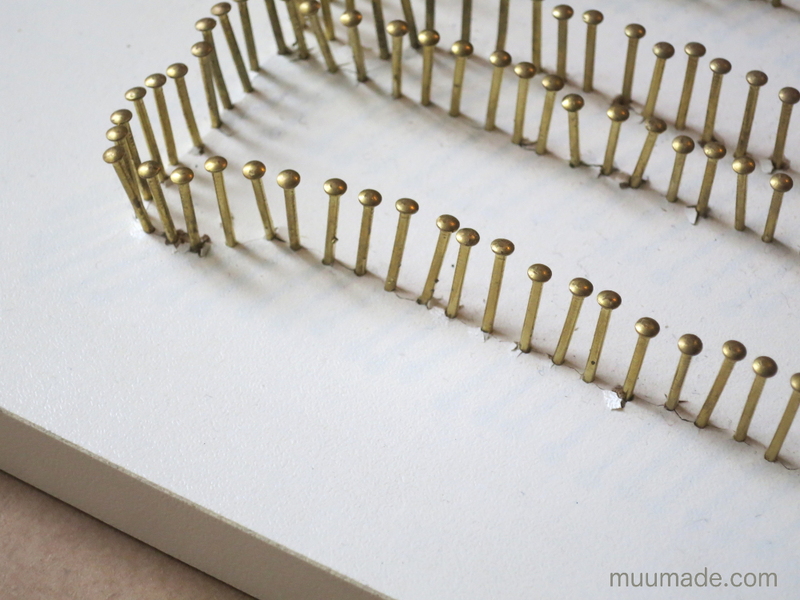 We used 25 mm (1″) long brass nails with a wide head. Do: I liked the nails that we used, because their wide head made it easy for the string to be held onto each nail. The length of the nail was also good. Don’t: I definitely do not recommend placing nails as close together as we did, i.e. 5 mm (3/16″) apart. I’d say an interval of around 1.5 cm (1/2″) between the nails would be a lot more practical. Trying to hammer them in so close together, we sacrificed a good number of the nails. 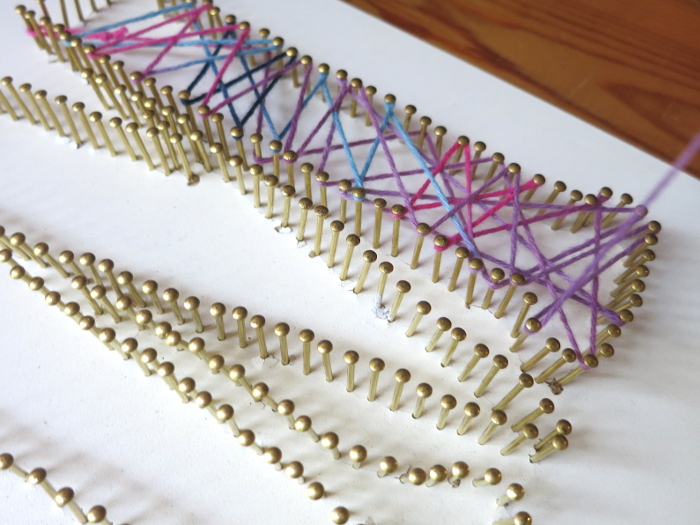 Now that you know ‘what to do’ and ‘what not to do’, you are ready to make your own string art! 2. 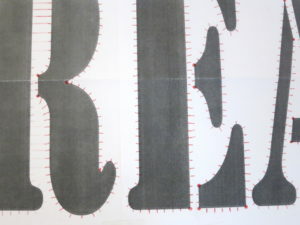 Make marks to position nails along the outlines of your image or word at equal intervals. I recommend 1.5 cm (1/2″) intervals. 5. 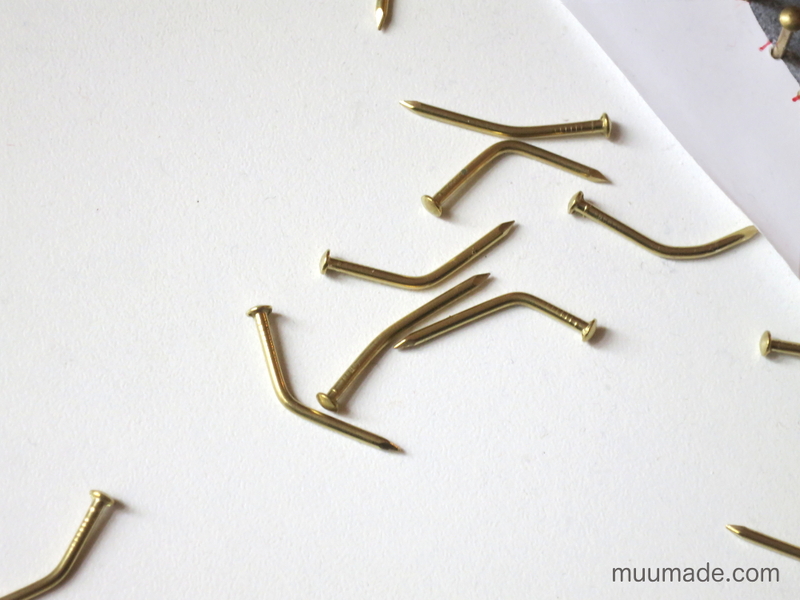 Once you have finished hammering in the nails, remove the paper template. 6. 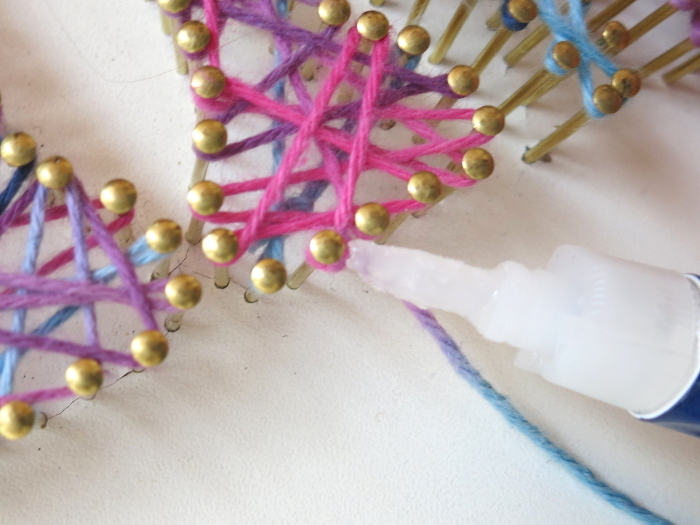 Make a small loop at one end of the string and apply a bit of Super glue on the knot. Then, hook the loop onto one of the nails. 7. Now start weaving the string back and forth around the nails, while keeping it taut. My daughter enjoyed this part of the project immensely. She did the stringing randomly, although she made sure to catch every nail once in the process. 8. 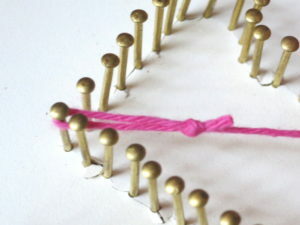 When finished stringing a letter or a shape, make two overhand knots around the last nail. Then apply a bit of Super glue on the knot. When the glue is dry, cut off the string. I hope that you are happy with how your string art turned out! If you would like to share an image of your work, you are more than welcome to do so in my blog’s gallery.